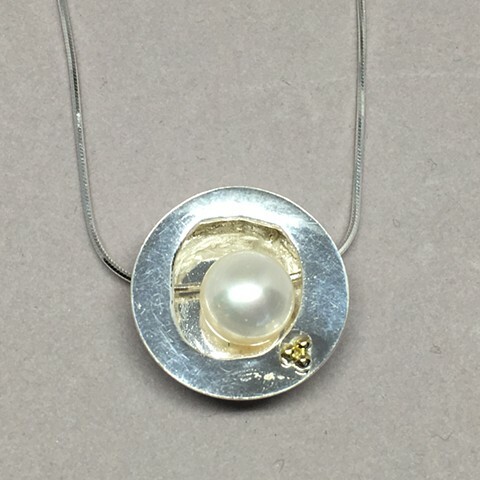 Handcrafted round silver box with AAAA quality pearl floating within the box. Small 18K gold flower on edge of box. 16" sterling silver chain.